I gather by your stunned silence that you are as shocked about this as I am. “As if it were performed in Shakespeare’s own time.” In a time like this, a community like this, to perform Shakespeare with no gimmicks or historical anachronisms? As Shakespeare himself intended? Why not just rip the food from the mouths of Atlanta’s performing community? I, myself, recently staged a local theater production of Romeo and Juliet. Had provocateurs like Mr. Olbermann had his way, would I have been stifled into having the actors use period costume? Be actual humans? Stick to the original text of the play? Well I say no. No, this is art, and a true artist realizes that a tale of star-crossed lovers that takes place on a giant ceramic plate with all the actors as various food items on roller-skates is what a genius like Shakespeare would have wanted. We are, I’m sure, artistic professionals–as such, we are all aware of the beauty and value in, shall we say, “creative interpretations” of a famous work. How else can art thrive without allowing each person their artistic vision? But where is that line drawn? Is there a limit to this, if not for the sake of one’s personal sensibilities, but to protect the very art form itself? I had to alert our dear friend Jonah Sanderson about this ham-fisted Hamlet just the other day. Many of you know Jonah from his performances at the West 8th Street Playhouse–you know, the one built out of an abandoned airplane hanger next to the other theater already built out of an abandoned airplane hangar–and he was astonished, to put it lightly. Many of you attended Jonah’s staging of Two Gentlemen of Verona last Spring. Can you imagine if Jonah had put on Two Gentlemen of Verona and it took place in Verona? Instead of New York’s TriBeCa district in the mid-1990’s? And NEITHER of the Gentlemen had AIDS? Blasphemy! And think of the other professionals who are affected by this dramatic ignorance. When Rebecca McDaniels put on the Rebecca McDaniels and Company rendition of Macbeth with an all-household-pet cast, staged in the backdrop of the First World War, who else profited? The diligent dog trainers. An accomplished team of ventriloquists. Rebecca’s grandmother, who painstakingly created three dozen Corgi-sized Pickelhaub helmets out of paper mache. And truly, we ALL profited by witnessing the stellar debut performance of one Mr. Sniffles, the bold Chihuahua/Terrier mix who made the role of Banquo his own. Ladies and Gentlemen, THAT is THEATRE. This is, to be clear, not a call for censorship. Mr. Olbermann is entitled to his views, however shortsighted and offensive they may be. But I urge you tonight to consider responding by supporting more concerned and thoughtful theatre in this community. My proposal–still ignored in its request for support by both Turner Broadcasting and the Center for Puppetry Arts–for an all-Minions-version of Othello languishes in a cesspool of unfunded sorrow. And yet Olbermann’s dreck has nearly sold out already–I blame only bribery and witchcraft for no other options are plausible. I shall be launching a Kickstarter forthwith to raise funds to promote local theatre’s more brilliant and creative endeavors to bring the true beauty of Shakespeare’s words to the people. Donations of a hundred dollars or more shall receive a backer reward of my latest project: a text file of Titus Andronicus expressed in its entirety in emojis. I hope you see it as a striking example of a true artist being one who knows more than anyone else how that person’s own work should best be presented. 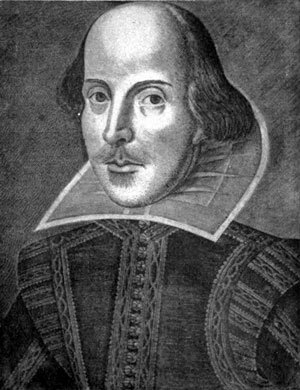 This entry was posted in Essays and tagged Atlanta, Mr. Sniffles, Shakespeare by August J. Pollak. Bookmark the permalink.